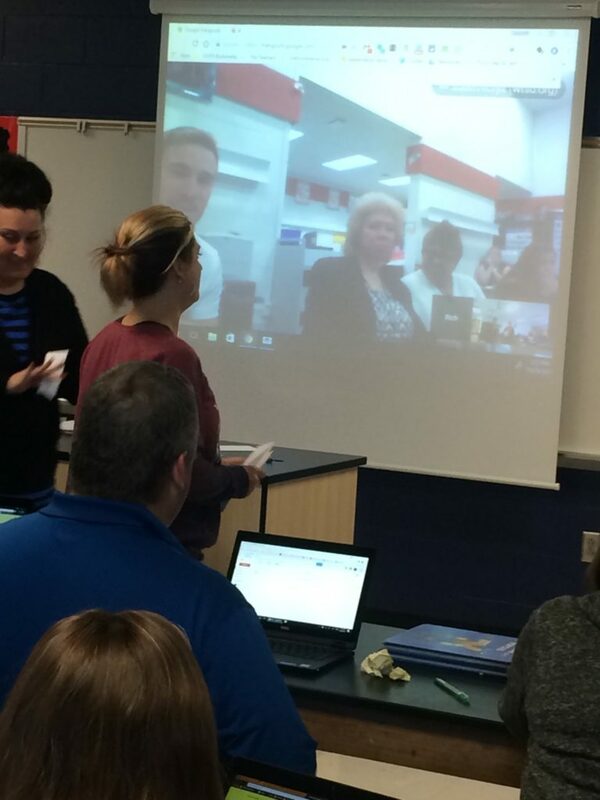 Over the years, I’ve talked to many teachers who have taken part in a Mystery Skype or Mystery Hangout with their students and with another teacher and group of students. The concept always sounded like a great way to engage students in a meaningful learning experience and a way to connect students to learning opportunities outside the four walls of the classroom. As a teacher, I never had the chance to participate in a Mystery Call. As an administrator, I wanted to give teachers the opportunity to do so. Enter the Mystery Staff Meeting. 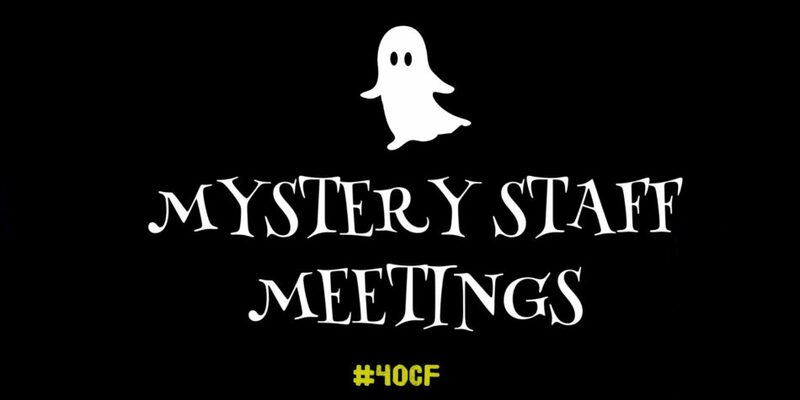 A few weeks ago, my colleagues and I had the chance to connect with a Mystery School during our staff meeting. I reached out via Twitter to find someone who might be interested and connected with Amanda Allen, a Middle School Principal from Missouri. We picked our date, and agreed to connect around 4pm EST. Finding a common time and date that worked was the most difficult part of the entire process. 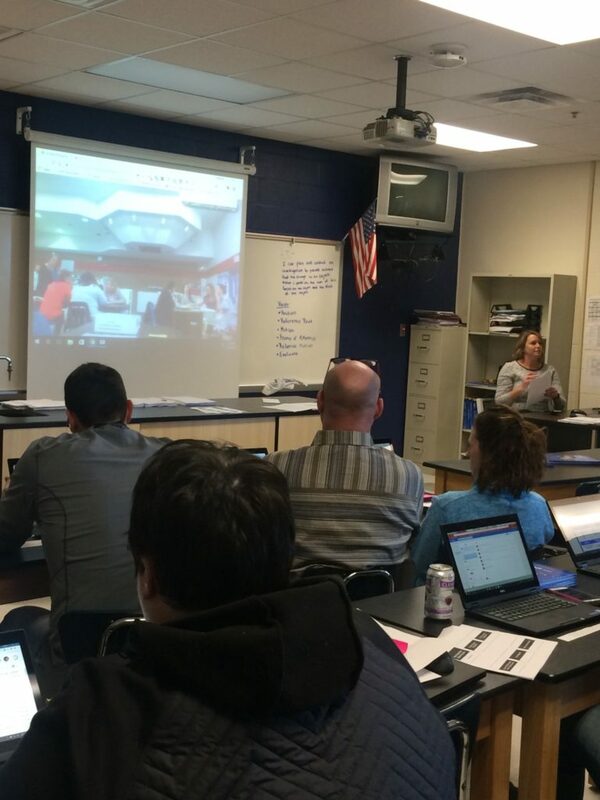 On the day of the Mystery Staff Meeting, we had our respective staff members take turns asking questions, modeling what a Mystery Skype or Hangout would look like with students. Staff members had the chance to ask yes or no questions, and each staff member took on a different role. I am sorry to say that the staff of the Grain Valley South Middle School was able to correctly identify our home state of New Jersey before we were able to identify Missouri as their home state. Even after the initial identification, we continued on with questions to narrow down to a specific city or town. As time wound down, we eventually shared our actual locations. It was a great opportunity to model for staff what would happen with an actual Mystery Call, and I hope that our staff will be able to connect their students to other students around the country and world. There was even discussion of connecting some of our 2nd and 3rd Grade students with some of the middle school students from Missouri. Try the Mystery Call at your next staff meeting. You may even want to reach out to my staff, as our competitive nature is just eating at us, and we are looking for a chance for redemption. Continue to switch up those staff meetings in order to make them meaningful and relevant. 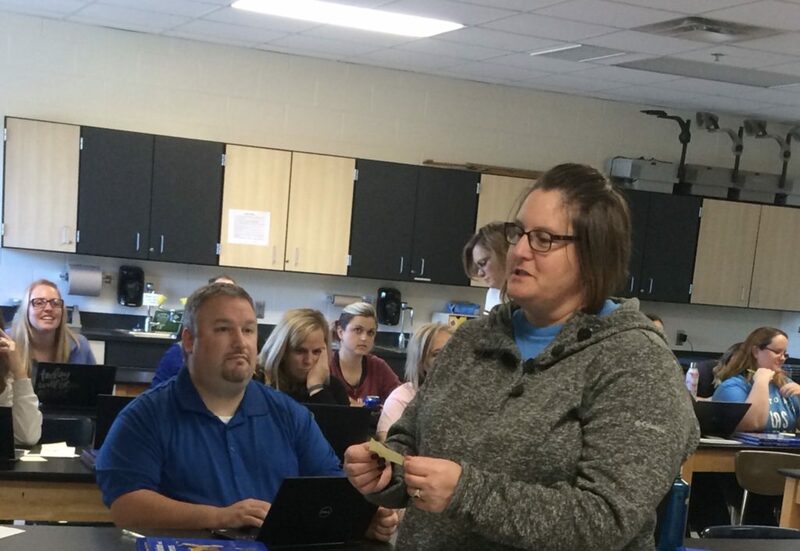 Special thanks to Amanda Allen and the staff at Grain Valley South Middle School for connecting and sharing with us!